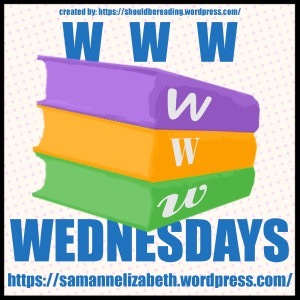 WWW Wednesday is a meme hosted by Sam at Taking On A World Of Words. 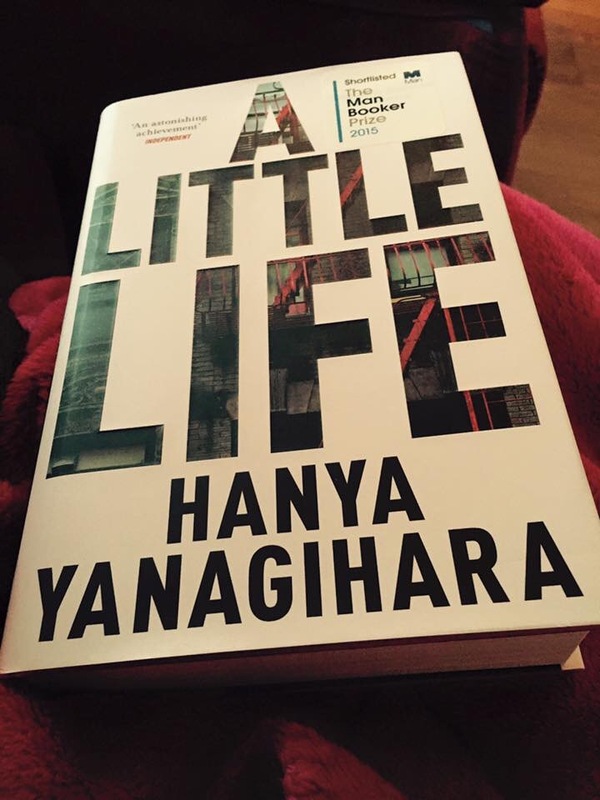 It’s open for anyone to join in and is a great way to share what you’ve been reading. All you have to do is answer three questions and share a link to your blog in the comments section of Sam’s blog. When four classmates from a small Massachusetts college move to New York to make their way, they’re broke, adrift, and buoyed only by their friendship and ambition. There is kind, handsome Willem, an aspiring actor; JB, a quick-witted, sometimes cruel Brooklyn-born painter seeking entry to the art world; Malcolm, a frustrated architect at a prominent firm; and withdrawn, brilliant, enigmatic Jude, who serves as their center of gravity. Over the decades, their relationships deepen and darken, tinged by addiction, success, and pride. Yet their greatest challenge, each comes to realize, is Jude himself, by midlife a terrifyingly talented litigator yet an increasingly broken man, his mind and body scarred by an unspeakable childhood, and haunted by what he fears is a degree of trauma that he’ll not only be unable to overcome—but that will define his life forever. Following an argument with her parents, 15 year old Freya Coleman storms out of the house. In tears, she goes to meet the only person who understands her: Robbie, the nice guy she’s been chatting to online. She doesn’t return home. A teenager’s body is found in a Southampton park. She is gaunt, bruised, and barely breathing. She is rushed to hospital, but has been so badly abused that doctors fear her fragmented memory may never recover. When another girl is reported missing a day later, D.I. White of the Hampshire Major Investigation Team fears Freya’s attacker has struck again. With White’s team focused on finding the new missing teenager, Freya’s parents hire Private Investigator Johnson Carmichael to find the person who abducted their daughter. The family has a secret they can’t tell the police, and it might just lead Carmichael to ‘Robbie’. 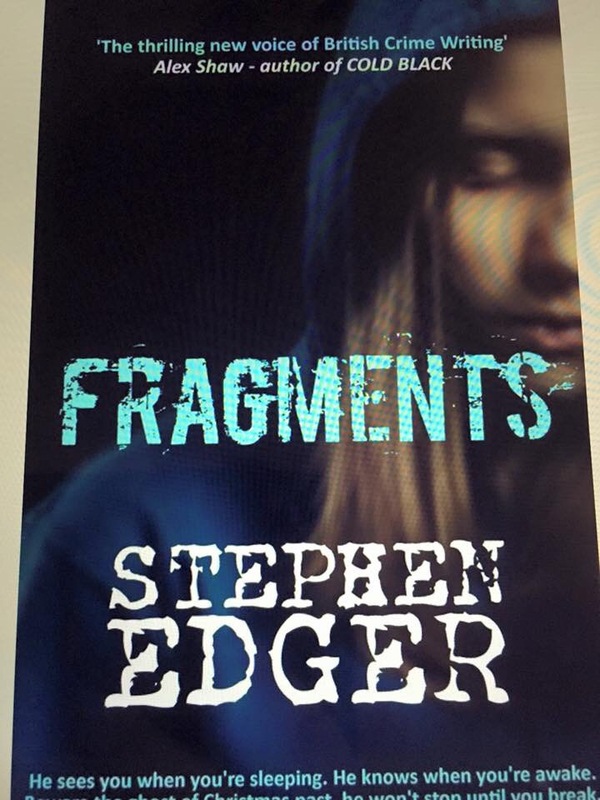 Mystery, suspense, abduction, and terror: Fragments is an emotive, thrilling whodunit from the best-selling author of Snatched and Remorse. 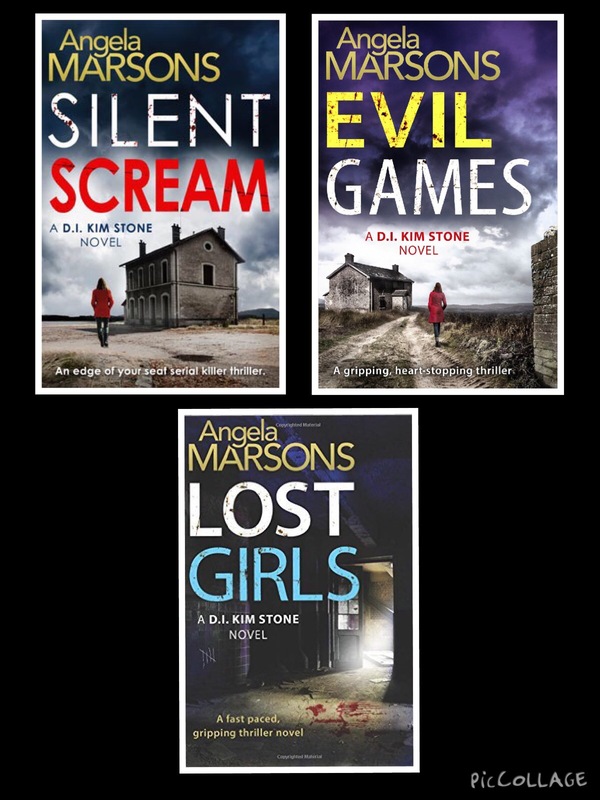 These three beauties by Angela Marsons, my review of which can be found here! All three were 5 star reads for me! 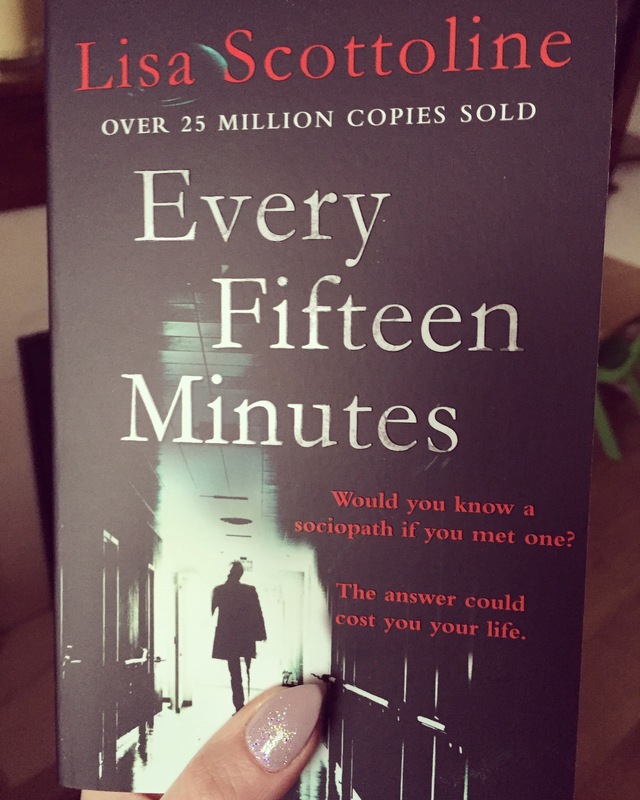 Witnessing a dramatic death at London’s Waterloo Station triggers a series of events that shatter Eva Scott’s world. Dying words awaken a history she had thought long buried, and soon, Eva’s life is out of her hands. A genetic key is keeping her alive, but foreshadowing her death. People she’s lost materialize and then disappear, testing her sanity. Linked to her survival is the potential takedown of an economic power, on which hang the lives of many others. Eva’s life is no longer her own. The summer precocious Lois and pretty Carly May were twelve years old, they were kidnapped, driven across the country, and held in a cabin in the woods for two months by a charismatic stranger. Nearly twenty years later, Lois has become a professor, teaching British literature at a small college in upstate New York, and Carly May is an actress in Los Angeles, drinking too much and struggling to revive her career. When a movie with a shockingly familiar plot draws the two women together once more, they must face the public exposure of their secret history and confront the dark longings and unspeakable truths that haunt them still. 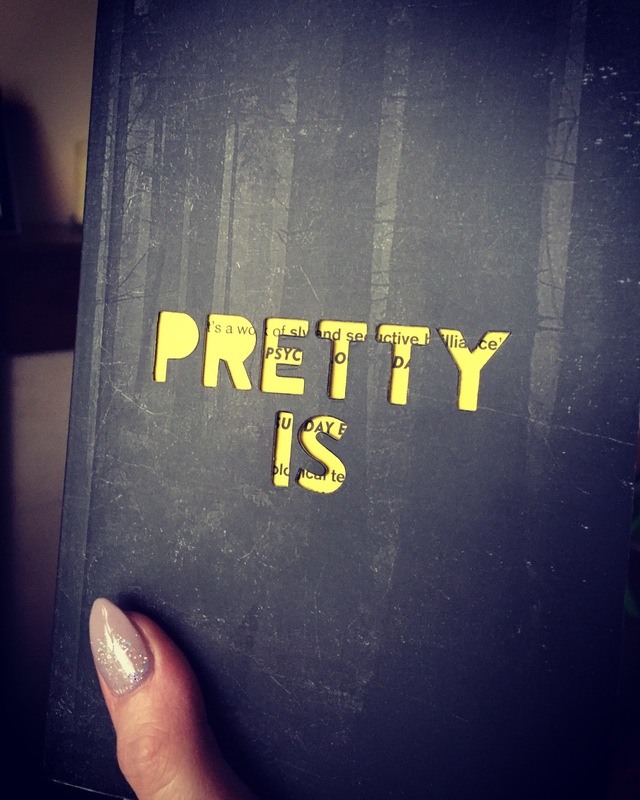 Maggie Mitchell’s Pretty Is beautifully defies ripped-from-the-headlines crime story expectations and announces the debut of a masterful new storytelling talent. Dr. Eric Parrish is the Chief of the Psychiatric Unit at Havemeyer General Hospital outside of Philadelphia. Recently separated from his wife, Caitlin, he is doing his best as a single dad to his seven-year-old daughter Hannah. His work seems to be going better than his home life, however. His unit at the hospital has just been named number two in the country and Eric has a devoted staff of doctors and nurses who are as caring as Eric is. But when he takes on a new patient, Eric’s entire world begins to crumble. Seventeen-year-old Max has a terminally ill grandmother and is having trouble handling it. That, plus his OCD and violent thoughts about a girl he likes makes Max a high risk patient. Max can’t turn off the rituals he needs to perform every fifteen minutes that keep him calm. With the pressure mounting, Max just might reach the breaking point. When the girl is found murdered, Max is nowhere to be found. Worried about Max, Eric goes looking for him and puts himself in danger of being seen as a “person of interest”. Next, one of his own staff turns on him in a trumped up charge of sexual harassment. Is this chaos all random? Or is someone systematically trying to destroy Eric’s life?